Is it worth hanging onto this property? How will you feel about strangers moving into your beloved home? 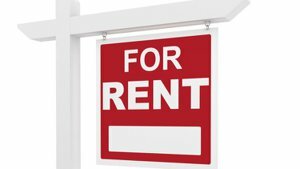 Can you, a novice with a day job, turn a dime on a real estate rental while avoiding bad tenants? The answer to these questions depends partly on the place itself. Ideally, it's in a good part of town, and the monthly mortgage payment is low or paid off. The more your place departs from this ideal, the more closely you should look at selling if you can. Whatever your reason for holding onto and renting your house, it won't work if you don't treat it like a business. Can You Do It? Should You Do It? That's the total cost of keeping the place going including mortgage payments, utilities, maintenance, yard work, repairs, and professional services that may be needed such as property management, tax help, or a legal consultant. If you're renting out your primary residence, you'll also have to decide whether to rent it furnished or unfurnished. If you leave furniture, be prepared for it to be damaged or at least show some wear. Any personal effects, electronics, fragile items, and anything else that you care about should be placed into locked storage either on-site or at a paid storage facility. A competitive rent price reflects prevailing rates, so simply adding up your cost of ownership won't do. Check newspaper ads, call property management agencies, and look online at classified ads such as Craigslist.org, REALTOR.com, or MOVE.com to assess the price range for similar rentals in your locale. Visit a few to hone your research. Gorgeous single family home. Completely renovated. Easy to show. Palm-Aire C C Apts 39 Con Bldg. The Palms Tower Two Condo Bldg. Siebers Cove 172-174 B Bldg. We can help you find the rental home that suits your lifestyle. Click here to browse rental properties. Complete an online Rental Application and background check.